The robot table is where students work with their robot. 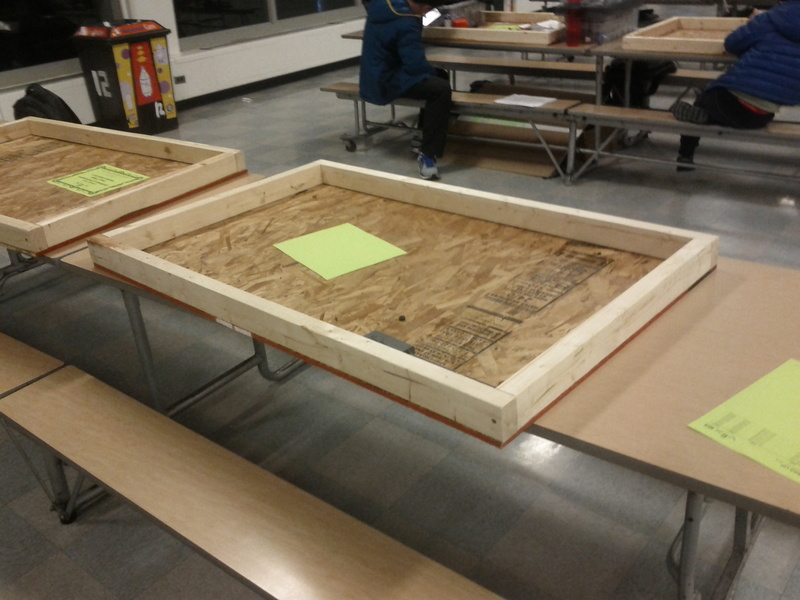 The framed perimeter allows all of the robot parts to be contained within the table top. 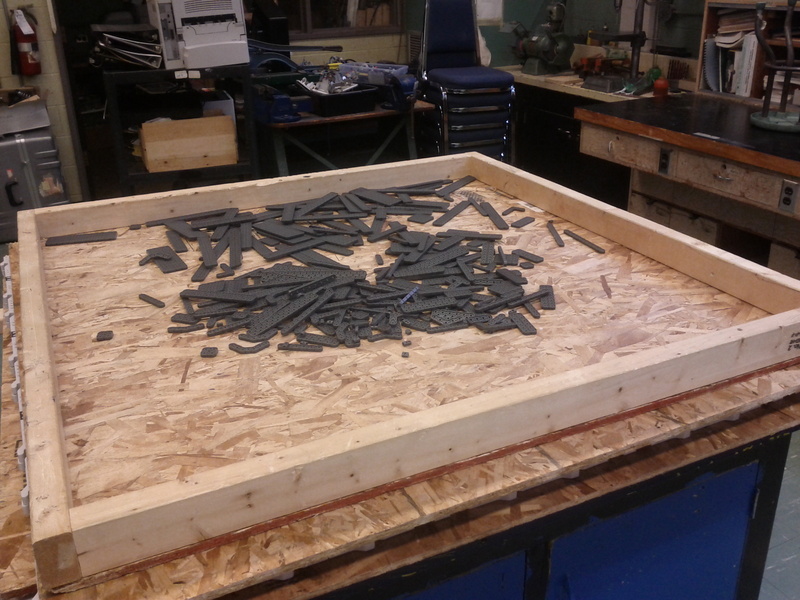 By allowing the students to ‘spill the bucket’ of parts within its borders, the robot table allow accessibility to parts while keeping all the pieces from falling onto the ground. The following are a few table top robot tables. Most of the examples listed below can be constructed using 2×3 studs and plywood or OSB sheets. This example is a small size robot table on top of a lab bench. 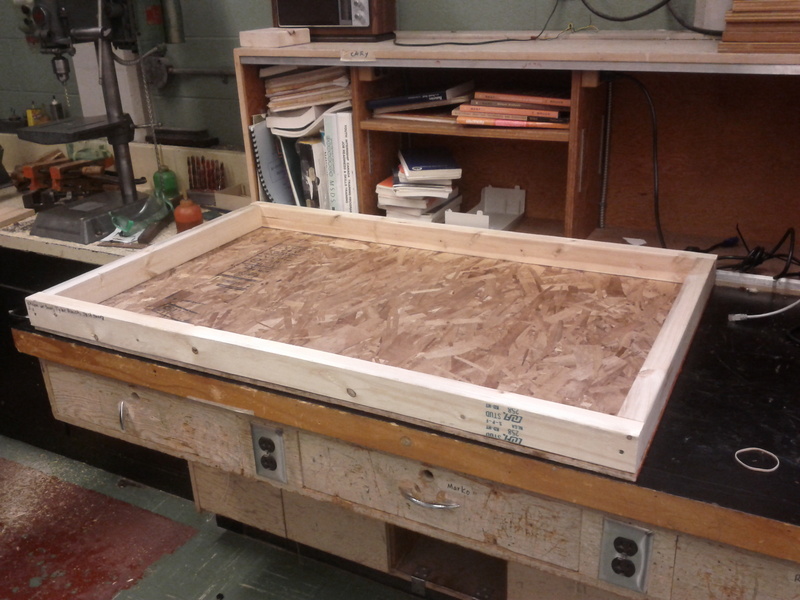 (4 feet wide x 30 inches deep) Excellent for 2 students working side by side. This example is a small size robot table on top of a cafeteria table. (4 feet wide x 30 inches deep) Robotics Event (Link) Excellent for 2 to 4 students working side by side and across from each other. This example is a mid size robot table on top of a work beench. (4 feet wide x 4 feet deep) Excellent for 4 to 6 students working together while facing each other. This example is a mid size robot table 30 inches high. (4 feet wide x 60 inches deep) Excellent for 6 to 8 students working together while facing each other. This example is a full size robot table for game play and for working on building robots. 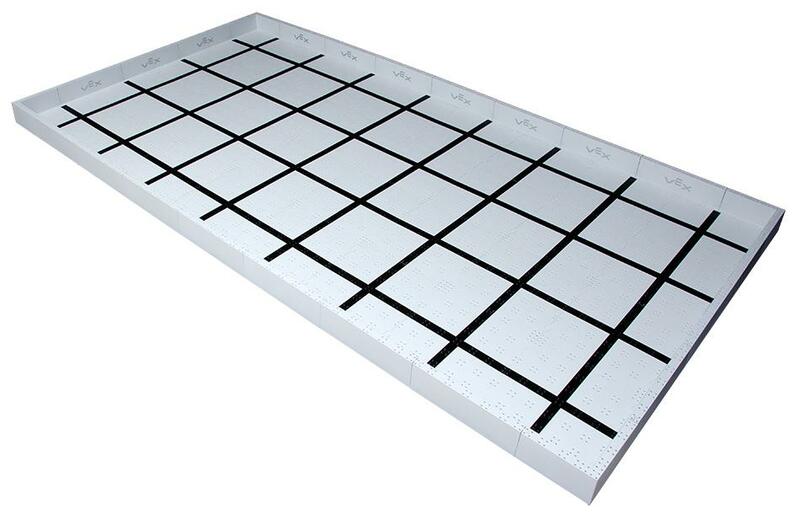 (8 feet wide x 4 feet deep) Excellent for 6 to 10 students working together while facing each other. This table plus its perimeter can be disassembled into sections and plates no more than 13 inches long and wide. 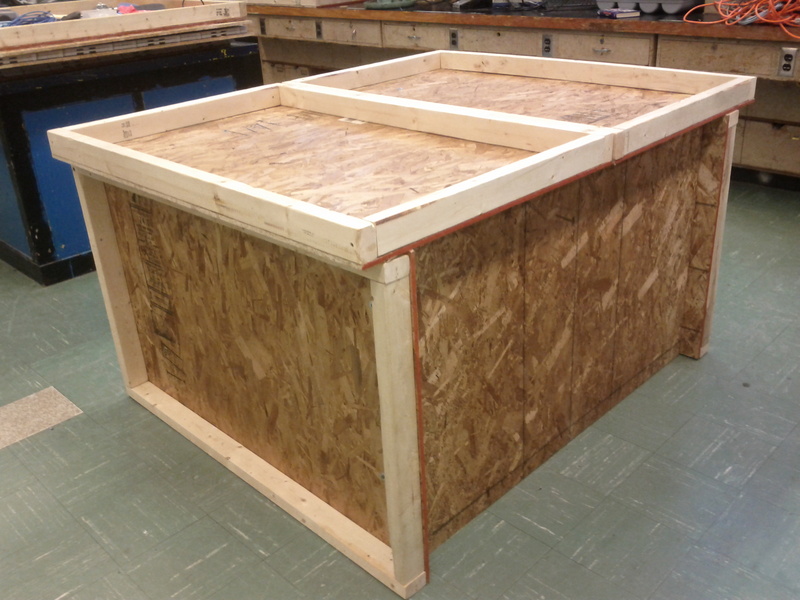 Excellent for transport and/or for classroom with shortage of space for storage.